The “Biggest Finest Revolver” is offered by Kahr’s Magnum Research subsidiary in 10 calibers, to include .30-30 Winchester. 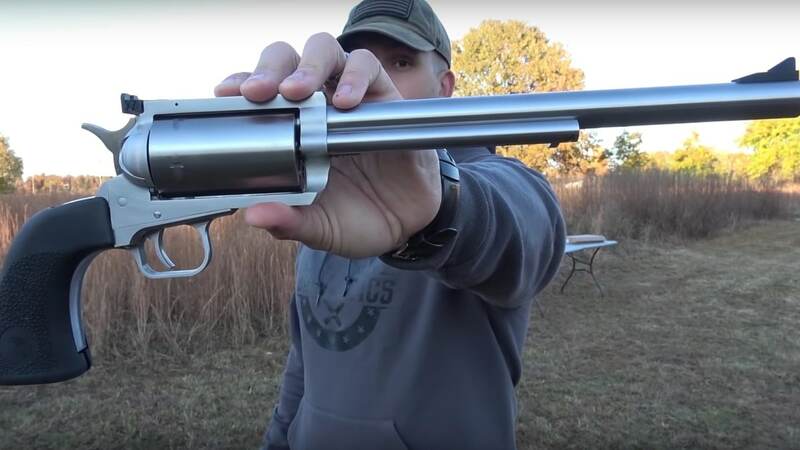 Using a long-cylinder model with a 10-inch barrel, Scott with Kentucky Ballistics takes a BFR in “thuddy-thuddy” for a spin and reports that it is actually enjoyable to shoot. There is even a splash of rapid-fire, or at least as rapid as a single-action revolver chambered for a lever-gun round is capable of, anyway. For a second opinion on the matter, Kahr’s Justin Moon and Doug Williams take a BFR in the same caliber to the range out to 100 yards to deliver the hits.